Sir Thomas Sopwith was not born in the village and nor did he live here, but he made his mark in two spectacular flying visits, landing on the golf course to visit, firstly, his sister in Datchet and then the royal family at Windsor Castle.Thomas Octave Murdoch Sopwith was born in London in 1888, the eighth child and only son of a civil engineer. He was intensely interested in mechanical things as a child and did not have a typical middle class education for a boy at the time, going to school in Hove and then to an engineering college. By the age of twenty-one Tom had started his own motor business, but at about this time engineers and mechanics all over the country were becoming more interested in the practical possibilities of aviation, after the Wright brothers’ first flight took place in 1903. Tommy Sopwith taught himself to fly at Brooklands in a British Avis monoplane and took to the air solo in October 1910 — but crashed after travelling 300 yards. Later that year he won a £4,000 prize for longest flight from England to the continent in a British built aeroplane, in a competition designed to stimulate the emerging British aircraft industry. In 1903 Tommy’s mother, Mrs Lydia Gertrude Sopwith, leased one half of the Manor House from Lord Montagu, and by 1906 Francis Raikes was tenant of the other half. He had married Iris, one of Tommy’s seven sisters and was a Foreign Office Messenger to the King at Windsor Castle. Tommy was away at school during the earlier years his mother and his sister’s family were here but often visited, being remembered as racing motorbikes around the village greens with ‘such a racket as sent the hens a’scattering’. Francis Raikes was still the Manor House tenant in 1915, but by then Mrs Raikes had moved to Moy Lodge in Slough Road. The family no longer has any connections with Datchet. Mr Tom Sopwith, brother of Mrs Raikes of Datchet, winner of the £4,000 Baron de Forest’s prize, flew to Datchet on a Sunday afternoon from Brooklands in the splendid time of fifteen minutes. His visit aroused immense interest and his graceful exhibition of airmanship will be remembered by the villagers all their lives. Sunday was an auspicious day for flying and Mr Sopwith embarked after lunch for Datchet and fifteen minutes later the aviator’s fine Howard-Wright biplane alighted with consummate ease on the golf course, near the railway bridge. There was only one golfer out and he was considerably surprised to see the machine sailing over the bunkers so gracefully. Within half an hour all the village was out and there were about a thousand people to see the biplane. 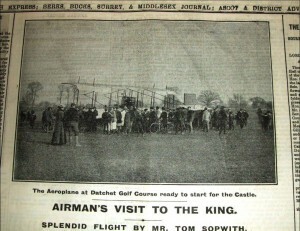 Mr Sopwith left his machine on the links for about an hour for the public to inspect it, under supervision of Mr de Paravicini the Keeper of the Course, while he proceeded to Datchet for a cup of coffee with his sister. On his return to the links he decided to make a show flight, but due to the height of the trees it was not safe to take up a passenger. He himself then ascended to a height of about 400 feet in a circular course and then, with vol-plane in which he stopped the engines completely, he alighted amongst the spectators exactly where a course had been cleared for him, with the lightness of a feather. He was greeted with tremendous cheering, and in appropriate terms Mr de Paravicini thanked him on behalf of the villagers for his brilliant exhibition, and then he flew off to Brooklands where his hangar is. “Seated on Sunday afternoon enjoying my usual rest, I was awakened by someone violently ringing the bell, and on my opening the door my visitor in gasping breath exclaimed, ‘An aeroplane! An aeroplane! Mr Sopwith has alighted on the golf links!’ His excitement infected me and off I started. On my way I met Mr Raikes who informed me that his brother in law was in the Manor Hotel drinking coffee and intended to start back in ten minutes. Instantly the motor buzzed, the forward plane was elevated and ran along the grass for about 150 yards when it began to mount into the air. Returning, it gradually ascended higher and no words could describe the gracefulness of its movement and the excitement of the occasion. When it was all but lost to sight it was noticed that it was turning, and to the delight of the still wondering crowd it came back, and with the ease, confidence and the beautiful motion of the hovering bird, it alighted in almost the very spot from which it had started. 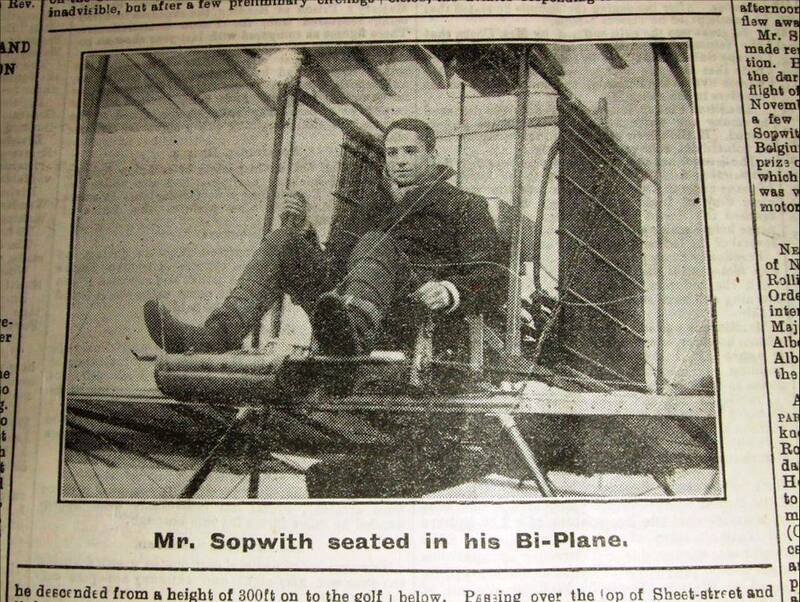 “A fortnight ago Mr Tom Sopwith flew from Brooklands to Datchet where his sister resides and had for some time been planning to fly round Windsor Castle but the weather had been too bad. On Wednesday however, he accomplished his performance with spectacular success. 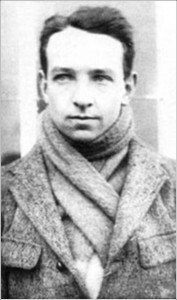 When Mr Sopwith reached the aeroplane sheds at Brooklands a heavy fog hung over the district and he found that the frost had cracked the radiators and caused a leak. After some trouble with the radiator he ascended but had to fight the mist all the way to Chertsey and could only see about 50 yards ahead, but here he struck the river and was able to follow it to Staines where he came into brilliant sunshine. Rising to 1000 feet he kept a straight course to Datchet church. 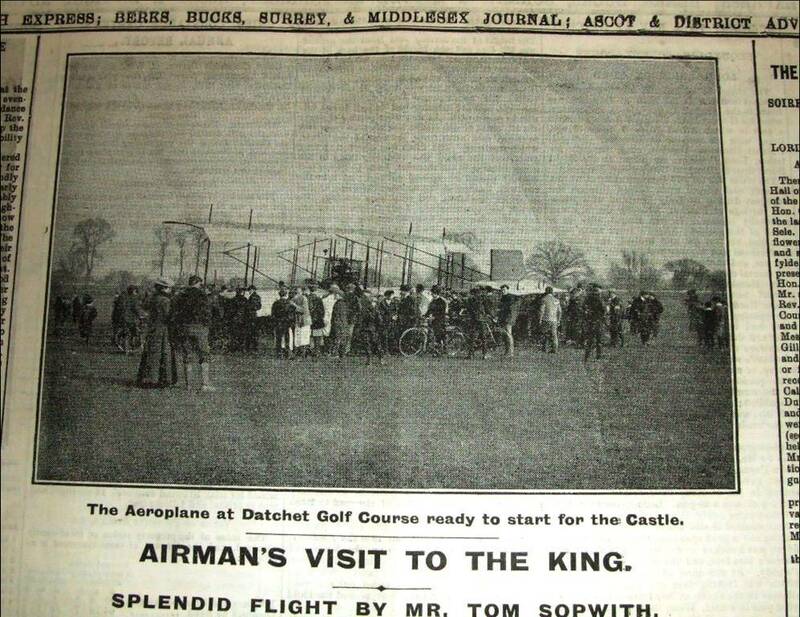 The wind was blowing off the castle slopes, rendering high vol-planing inadvisable, but after a few circlings he descended on to the golf links at Datchet. 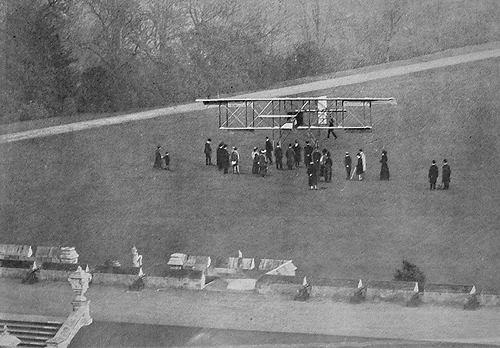 Leaving the plane in the charge of Police Sergeant Caswell and other volunteers Mr Sopwith had luncheon with Mr & Mrs Raikes and then proceeded in a motor car to Windsor Castle, where Sir Charles Cust (equerry to Prince of Wales) took him over the golf course below the east terrace to select a suitable spot for landing. The news soon went round Windsor that the airman was expected, and hundreds of people flocked to the castle, including many of the Eton boys, most of whom stood on the north terrace. The turrets of the castle were occupied by sightseers and a large number of His Majesty’s Household and royal servants assembled on the east terrace to watch the flight. The flight before royalty was timed for a quarter to three, at which hour the King accompanied by the princes Henry, George and John went out onto the east terrace with members of the Household. Mr Sopwith was a few minutes behind schedule owing to engine trouble but soon took his seat and in an easy manner rose above the elms of the Home Park to the cheering of the crowds assembled on the golf course and along the Datchet Road. The spectators on the north terrace heard the cheers of the Datchet crowd & almost immediately the machine was seen to rise over the trees and gracefully glide low across the East Lawn so the spectators could see him well. Taking a turn, he swept over the towers and circled the round tower with great skill & precision, the aviator responding to the cheers from below. Passing over the top of Sheet Street and the Long Walk, Mr Sopwith turned around and vol-planed close to the Royal group, right onto the spot he had selected, to the delight of the young princes. On alighting, the aviator was presented to the King, who warmly congratulated him on his successful flight. The King and princes then examined the machine, and since this was the first aeroplane His Majesty had seen, he was greatly interested. He pointed out to the aviator that his radiator was leaking, ‘Yes, Your Majesty, that is due to the frost’ replied Mr Sopwith. The King was pleased to hear that the biplane was an English made machine and hoped this country would make good progress in aviation. Not surprisingly, memories of these events have been recounted by those who were there. Harvey Lewin, a pupil at the time, recalled that the class were asked to draw a picture of the plane by his teacher Miss Williams when they returned to school. In about 1960 an elderly villager described how his younger brother tried to start the plane by swinging the propeller but found he was too small; another remembered watching Sopwith repair the burst pipes by flattening them with pliers and putting them out of action! In 1920 the original Sopwith team, including Fred Sigrist and Harry Hawker, reformed as the Hawker Engineering Company based in Langley near Datchet. With FJ Camm as chief designer, the Hawker stable went on to produce the inter-war Fury and Hart, the Battle of Britain-winning Hurricane, and the post-war Hunter and Harrier jump jet, producing in all 26,000 aircraft and 52 types; Sopwith was knighted for his services to British aviation in 1953. In 1978, the year that Hawker’s aerospace interests were absorbed into British Aerospace, Sir Thomas retired, aged 90 and died in 1989 aged 101.